DBS is suitable for open cut, underground and quarry drill and blast operations. It can be tailored or scaled to suit specific site needs. Our drill and blast software will integrate with your existing mine management systems. Individual components can be used or customized to suit your requirements. 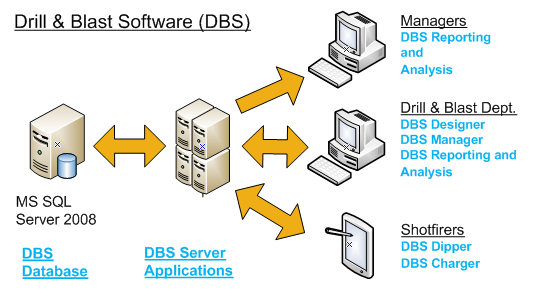 DBS utilizes open data structures and industry standard data transfer protocols. Your existing blast history can be added to our drilling and blasting software. DBS can be used for bench marking or specific project work.